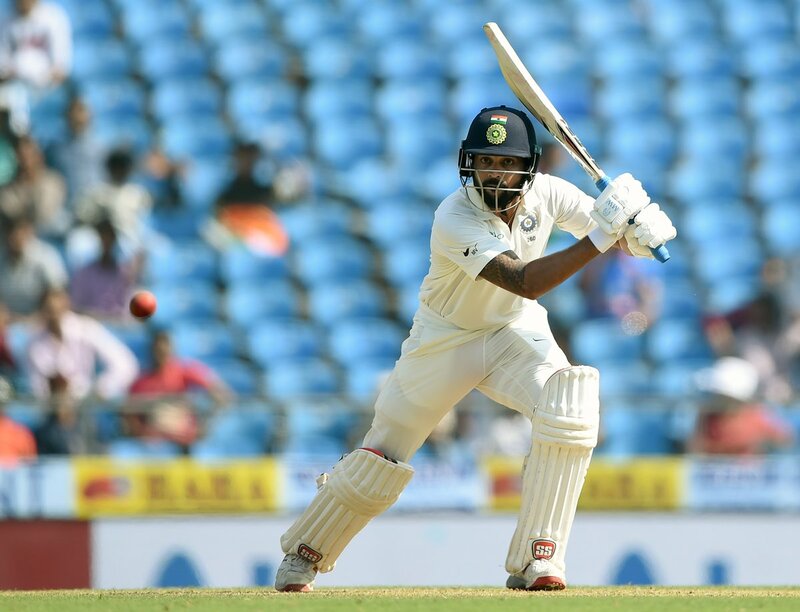 Nagpur, Nov 25: India opener Murali Vijay on Saturday admitted that it is not easy to be ignored despite batting well but said as a professional he has accepted that and wants to contribute whenever given a chance. Vijay, 33, scored a sublime 128 (221b; 11x4, 1x6) on the second of India's second Test against Sri Lanka to help the hosts take a 107-run lead with Pujara batting on 121 and skipper Virat Kohli joining him (54 batting). Sri Lanka could manage only 205 in their first innings after winning the toss and electing to bat. "I feel as a professional you should always be ready whether you get a chance or not. You should be ready from inside, eyeing to get a chance. So whenever you get that chance, you are at least not lacking on that aspect (mental preparation). You can be fully aware of what's happening and what's going to happen," Vijay told reporters at the post-match press conference. "It is difficult but I am used to it by now. I just wanted to contribute whenever I get an opportunity to play for India." He did not play in the first Test as Shikhar Dhawan opened the batting with Lokesh Rahul. Dhawan opted out of the second rubber due to personal reasons opening the door for Vijay after recovering from an injury. "I really don't have to deal as long as I am happy and comfortable in my space. That's all I want it to be and if I am able to achieve that on a consistent basis, I think I am doing a good job," Vijay said when asked about the opening slot conundrum. "Playing for India is difficult and whoever gets a chance, I wish him luck. I know how difficult it is to be in that space and perform, so whoever gets a chance should perform. That's all I can say," he said. Vijay and Pujara associate well and have as many as ten century partnerships (nine in sub-continent) together. Asked about their chemistry, Vijay said: "I like batting, so it does not matter who bats at the other end! Pujara also has similar mindset as he likes to dig in deep and scrap it out in situations of varied demands. "So hopefully, we can continue to do it for India more number of times." On the upcoming South Africa tour, Vijay said: "I am a person who doesn't like to overthink too much till I see that particular ground or venue. I don't want to have pre-conceived ideas and plans. I like to take things as it comes. "Yes, bounce is something, we have got one week to handle (before first Test starts). Everybody knows about it and we are working on it. I have few things to work on and I am at it," said Vijay.